in Newquay, there are many second-homes which are left empty during the winter and make the resort become a deserted 'ghost' town. 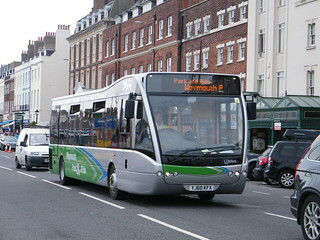 Weymouth has set up a park-and-ride facility following the 2012 Olympics so people can park their car outside town and get a free bus to the seafront instead. Cornwall have created a new tax which people must pay if they leave their second homes empty for too long. Each year, UK beaches are also awarded flags to show how clean they are. 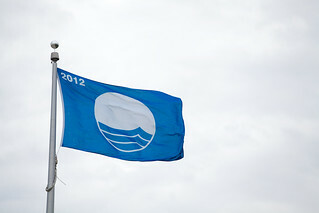 Blue flag beaches are the cleanest and have the best water quality.